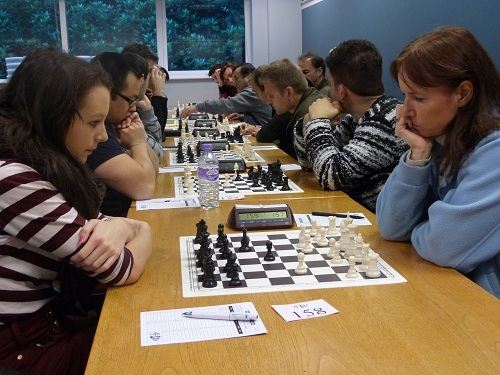 The Four Nations Chess League started this weekend. This season I’m playing for Guildford and we had a good start, winning the first match 7-1 against Warwickshire Select and the second 6.5-1.5 against Barbican’s second team. 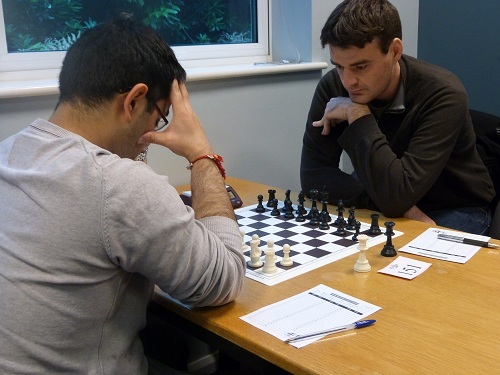 In round one I had Black against IM Ameet Ghasi. Ameet is the same age as me and was a big talent growing up. He gave up when he was 14 to concentrate on his studies (and was already 2344!) but last year he came back and continued his rise. He made his IM title rather easily and his rating continues to rise – definitely a tough opponent! I tried to surprise him with a double fianchetto against his usual 1.Nf3, 2.g3 setup but never really managed any winning chances and was under a bit of pressure for most of the game but held onto the draw. 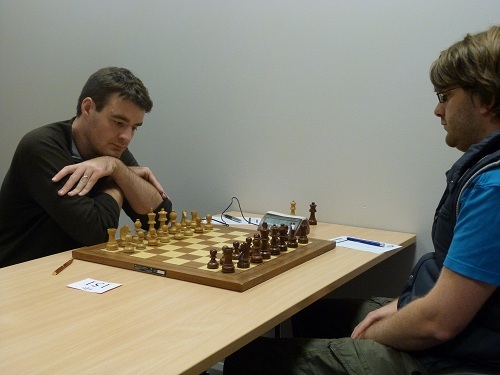 On the Sunday I played Chris Dorrington, another of my rivals when we were growing up. He never gave up completely but again academic life got in the way and he hasn’t been playing much for the last few years but made an IM norm in the 4ncl two years ago. I took on his Nimzo Indian and the position quickly resembled a Queen’s Gambit Declined position where I should have some advantage. Chris was in an unpleasant pin and lashed out but was left with a vulnerable kingside and in the end I managed to crash through with a mating attack. Sue made her debut for North East England in the second division after being signed up after the British Championships. Unfortunately the team could only field seven players and so defaulted the bottom board which also gives the team a penalty of half a game point. On the Saturday they played Bristol 1 but went down 6-1.5 (the 1/2 point discrepancy is due to the forfeit penalty) with Sue drawing with David Collier, rated a little above her. On the Sunday they again played with seven players and lost 5-2.5 to Barbican Youth (Barbican’s third team). Sue had a rather dodgy looking position after forgetting her theory but tenaciously held an endgame a pawn down to FM Neil Berry. Elsewhere in the league I was very happy to see White Rose’s excellent start, defeating South Wales Dragons 5.5-2.5 on the Saturday and then beating the closely matched Jutes of Kent by an astonishing 7-1 scoreline! This leaves only Guildford and White Rose on the maximum 4 match points in that half of the first division. On the other side Barbican are the only ones still on 100% squeezing past Cambridge University and Cheddleton while e2e4 have again had an excellent start to the season, defeating our second team and then holding the top seeds Wood Green Hilsmark to a four all draw with every game being drawn! The next 4ncl weekend is the 12th-13th January with the action taking place in Staverton Park near Daventry in the Midlands.